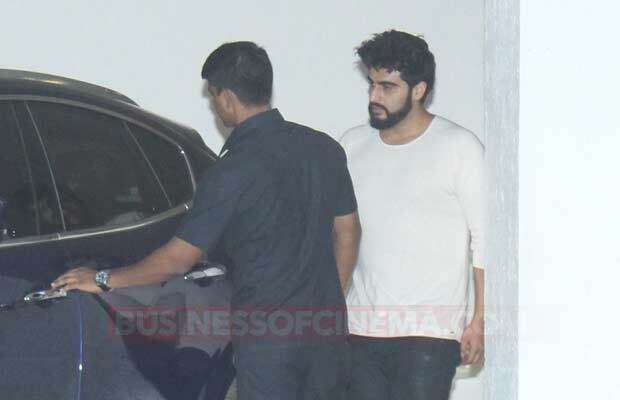 Karan Johar’s house is a regular party spot for actors from the industry and we happen to see them frequently visiting the filmmaker’s apartment. Bollywood film maker Karan Johar is known to host parties for his buddies from the industry. And many of them are usually snapped outside his residence leaving or arriving to chill out at his apartment. 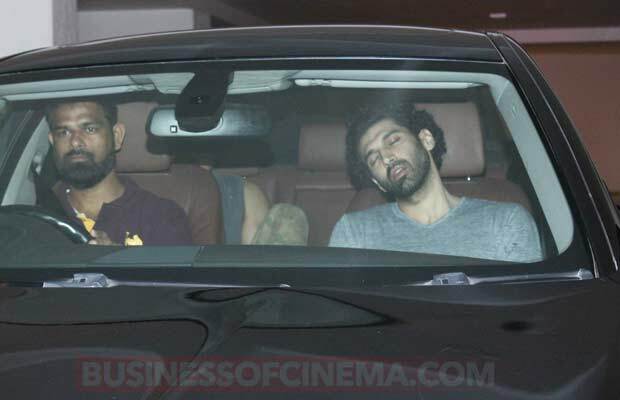 Only last night a bunch of the Bollywood men were seen at his house. 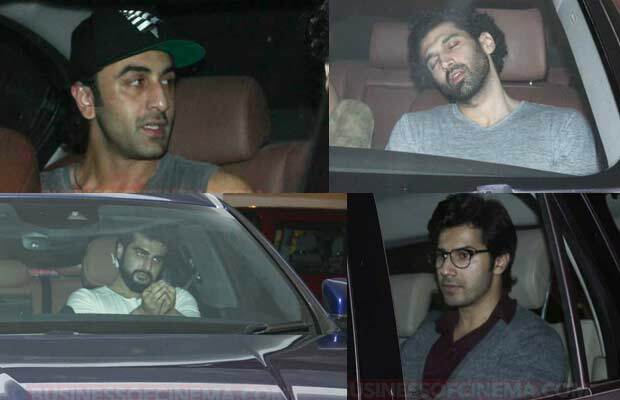 The young stars Ranbir Kapoor, Aditya Roy Kapur, Varun Dhawan and even Arjun Kapoor were spotted outside Karan Johar’s house. 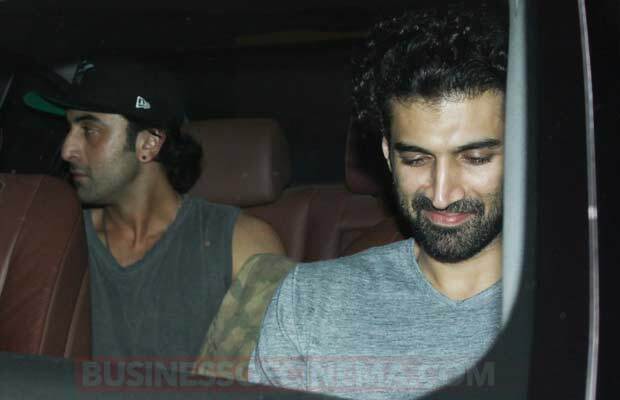 Ranbir Kapoor was seen in a grey sleeveless hoodie and cargo pants with a black cap. 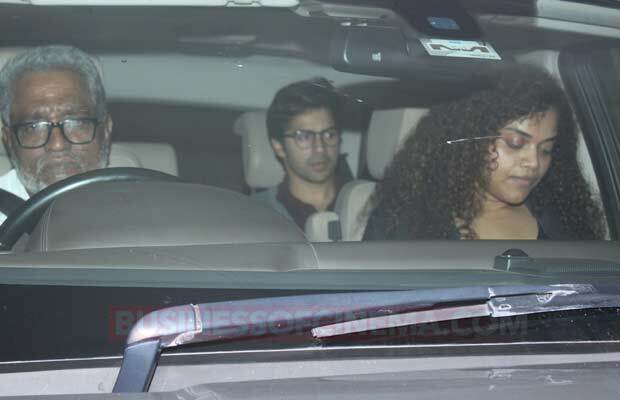 He arrived with a best friend from the industry Aditya Roy Kapoor. 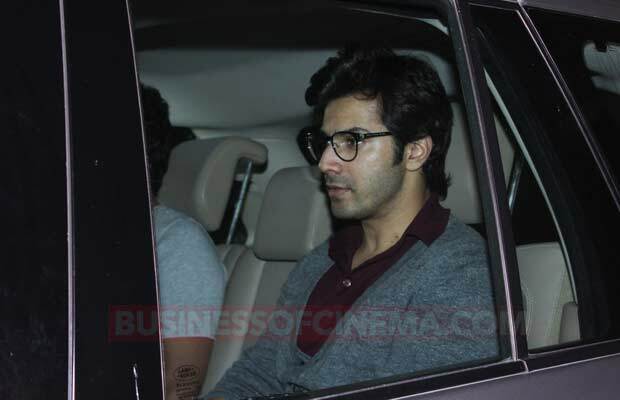 Aditya was dressed in a simple grey t-shirt and jeans. Ranbir Kapoor will be seen in the upcoming movie ‘Dragon’ helmed by Ayan Mukerji. Actress Alia Bhatt will be his co-star in the movie. Amitabh Bachchan will also be part of the movie. He is also working on his Sanjay Dutt untitled biopic under Rajkumar Hirani. 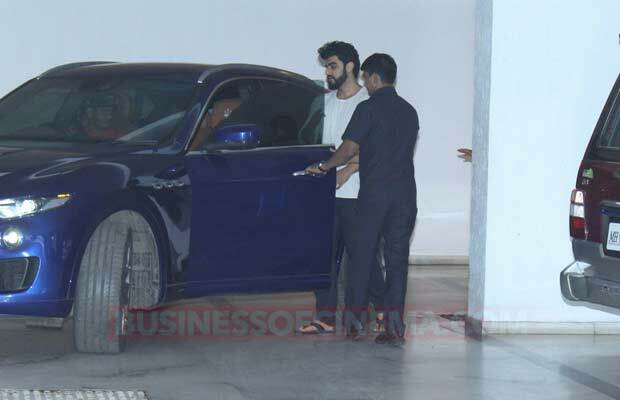 Arjun Kapoor was apparently tired of the paparazzi and was seen begging for a break from the photos. He was spotted wearing a long sleeved white t-shirt and black jeans. 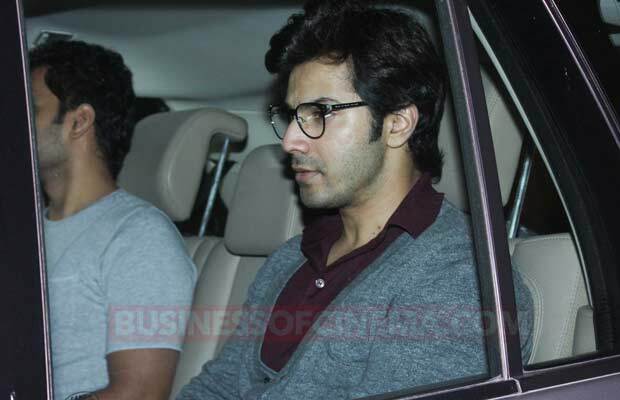 Varun Dhawan was all styled out in his ‘Judwaa 2’ character Prem, with his glasses and a grey tee over maroon button down shirt. 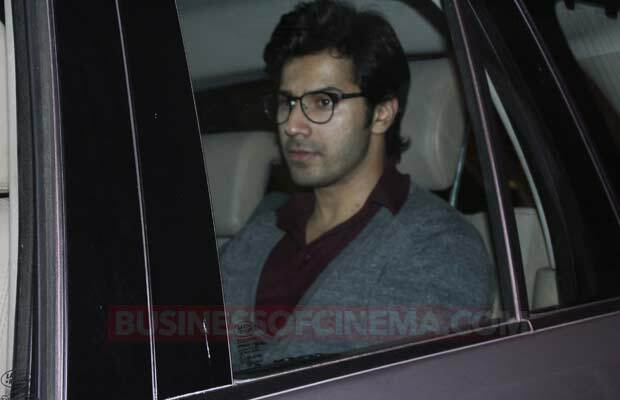 He is busy promoting his movie’ Judwaa 2’ and was last seen at the trailer launch. The movie will also star actress Jacqueline Fernandez and Taapsee Pannu and is due to release on September 29th this year. Here’s hoping film maker Karan Johar casts all these handsome men in a blockbuster film and pleases the fans. Previous articleAjay Devgn Reacts On Kajol-Karan Johar Patching Up! Next articleBox Office: Akshay Kumar Starrer Toilet: Ek Prem Katha 12th Day Business!